Gonna be dumb? You gotta be tough. : What is CrossFit Jarhead? CrossFit Jarhead isn't a brick and mortar CrossFit Affiliate. It won't be. My aim is to give back to all who've 'brought me up' so to speak, by providing my experience in training for all those involved in preparing to win our Nation's battles. 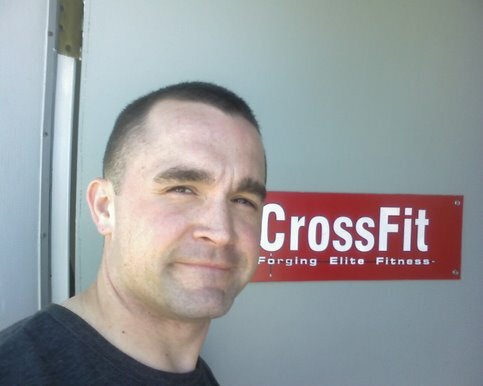 Through incorporation of CrossFit into the Marine Corps martial arts program as combat conditioning training CF Jarhead will provide constantly vaired functional workouts to be executed at high intensity for the physical and mental preparation to deploy in support of our Nation's crises. Our Airmen, Soldiers, Sailors and Marines face grave danger when forward deployed, no matter where, no matter what their role in their service. Our Nation needs special operators, truck drivers, machine gunners, electricians and radar operators. The danger they all face is real and the physical demands of their roles vary by degree, not by kind. No matter where we are, enemies and challenges which face us. Whether we must execute natural disaster relief, humanitarian aid, tactical search and rescue or conduct urban warfare we must be prepared to face the unknown. This need can be expressed as a constant need for strength, power, speed, stamina, accuracy, endurance, flexibility, agility, coordination, and balance. In accepting this need we should recognize that training properly will ensure we are prepared. The CrossFit prescription has brought success to elite military units, MMA fighters and athletes along with housewives, children and grandfathers. The pursuit of excellence and elite fitness will bring success to the mission and the unit of the individual who properly applies it.